The purpose of this guideline is to provide evidence-based recommendations for Registered Nurses and Registered Practical Nurses in self-management support. 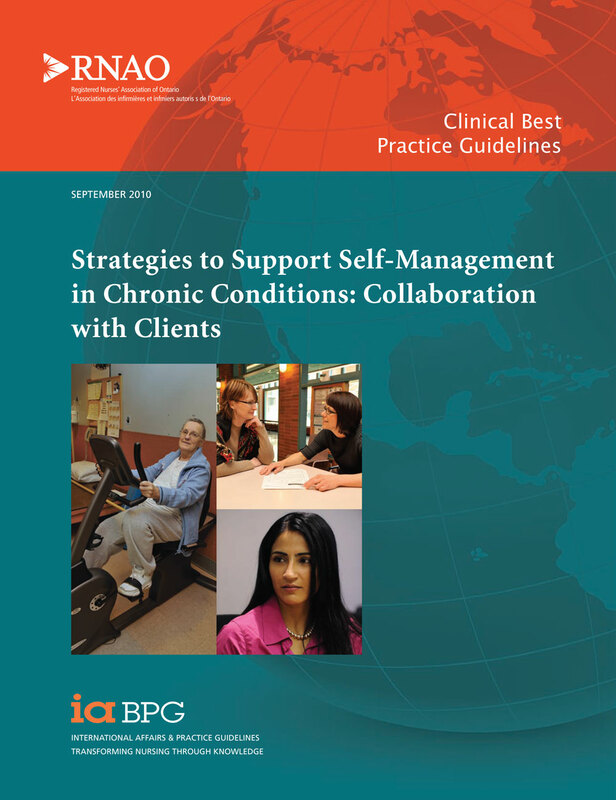 These recommendations identify strategies and interventions that enhance an individual’s ability to manage their chronic health condition. It is intended for nurses who work in a variety of practice settings across the continuum of care. It is acknowledged that the practitioner’s knowledge, skills, attitudes, critical analysis and decision making vary and are enhanced over time by experience and education. It is acknowledged that effective health care depends on a coordinated interprofessional approach incorporating ongoing communication between health professionals and clients/families. 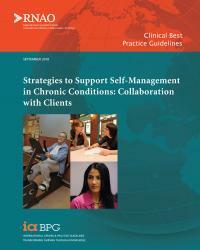 This best practice guideline focuses on assisting nurses in adult practice settings. This is not meant to exclude the paediatric client, but children have special assessment needs related to developmental stages that are beyond the scope of this guideline. However, an assessment of the individual’s cognitive and physical capabilities should be taken into consideration regardless of age.